Krissy Matthews was just 3 years old in 1995 when his father took him on stage for the first time. 5 years later his father Keith gave him his first electric guitar as a present and hold classes. At the age of 11 he committed himself to the blues, only one year later his idol John Mayall took him on stage at a concert for several songs. In the same year Krissy Matthews founded the Krissy’s Blues Boys with his father on the rhythm guitar and later, as a trio, on bass. In 2006, at the age of 14, Krissy signed his first record deal, the album “Blues Boy” was released. Another two years later, after the release of his second longplayer “No Age Limit”, Krissy decided to leave school, to face life and to start a career as a professional musician. Krissy Matthews settled in the United Kingdom. He presented his third album exclusively at the famous London “Ronnie Scott’s” and recorded a live session at the BBC, which was broadcast on BBC 2 with a time delay. He found his kindred partner in the British poet, songwriter and musician Peter Brown, who had already written classics such as “White Room”, “Swalbr” and “Sunshine Of Your Love” for blues rock legend Cream. 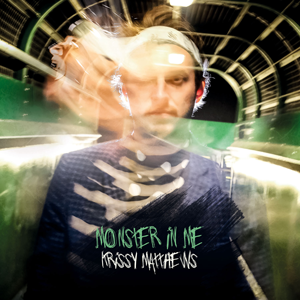 Brown didn’t only write the lyrics on the new Krissy Matthews albums, he supported the singer and guitarist on his productions, either. In 2015 Krissy also got the offer to replace the retired guitarist Miller Anderson at the renowned Hamburg Blues Band. For more than 3 years he has been very successful on stage now with genre legends like Chris Farlowe, Maggie Bell and Arthur Brown. 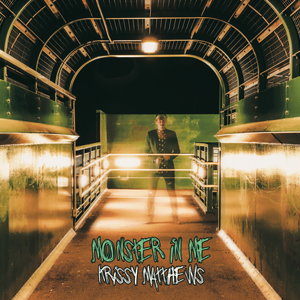 “Monster In Me” is Krissy Matthews’ sixth solo album. A musical statement with rock, blues and even pop elements.